Available in lengths of 4 ft to 10.2 ft, as Unpainted no spades, unpainted with spades, painted with spades and painted without spades. Also available in HDG with spades in all size. 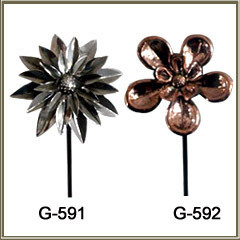 - Plant these whimsical metal garden stakes wherever your garden or containers need a lift. They brighten up the dullest spots and animate your garden. Banking on our vast experience in this domain, we are engaged in manufacturing quality assured Metal Stake. 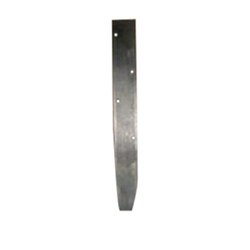 We are specialized in offering standard quality assortment of Round Stakes to our clients. This Round Stakes is known for its high quality. Our product range is inspected for its quality before final dispatch. Made in galvanized ironthey have a double T at the topLength is 456mm with 350mm.Lower horizontal bar shall maintain the net. - Double Coated painted finish with exclusive "prime coat" provides superior rust protection.